INDIVIDUAL HOUSE IN JUAN LES PINS - COTE D'AZUR - 56 person. a fully furnished kitchen, a dining room and a lounge with TV, tel, fax, hi-fi music. A baby bed is provided. The villa is located nearby the sandy beaches and commodities (supermarket at 10 minutes walk from the villa). 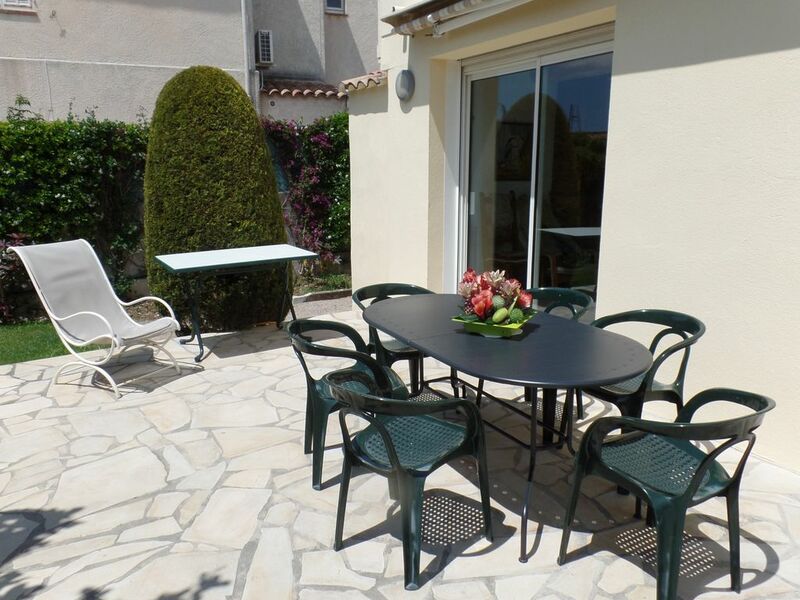 You will enjoy outside life in the secured garden with barbecue, garden furniture and also a summer outside shower. At the first floor, there are 2 bedrooms with balcony. One private shower room one bathroom one shower outside, when coming back from the sea. 800 meters from the beaches (private or public) in a small street, surrounded by private houses.